Thedarkknight.warnerbros.com, the film's official website, goes online. Its teaser page displays the Batman logo breaking apart behind blue light. Clicking on this picture led to Ibelieveinharveydent.com, the first known site in the ARG. The page has been updated and no longer links to IBIHD. It now contains links to download the trailer in Quicktime and Windows Media, as well as the Joker one-sheet poster that led to Atasteforthetheatrical.com. Upon actor Heath Ledger's death on January 22, a memorial site has replaced the video page containing the trailers. The video page later returned as a link beneath the original picture. The Joker one-sheet on the page has been replaced with the same picture seen on the home page. 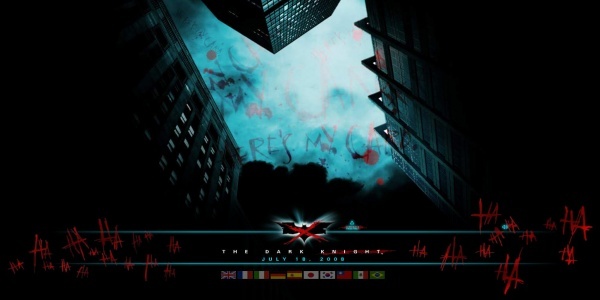 The official website is updated to include an animated Flash intro of Batman looking over Gotham (the image from the international poster). The camera then leaps out the window to view the dark, nighttime skyline from street-level. Joker cards float down from above to the sound of Joker laughing, then the webpage automatically starts playing the second theatrical trailer. At 10 PM EDT, following the end of Whysoserious.com/Overture's countdown, the official website was Jokerized. This page was last modified 18:36, 18 July 2008. This page has been accessed 39,949 times.